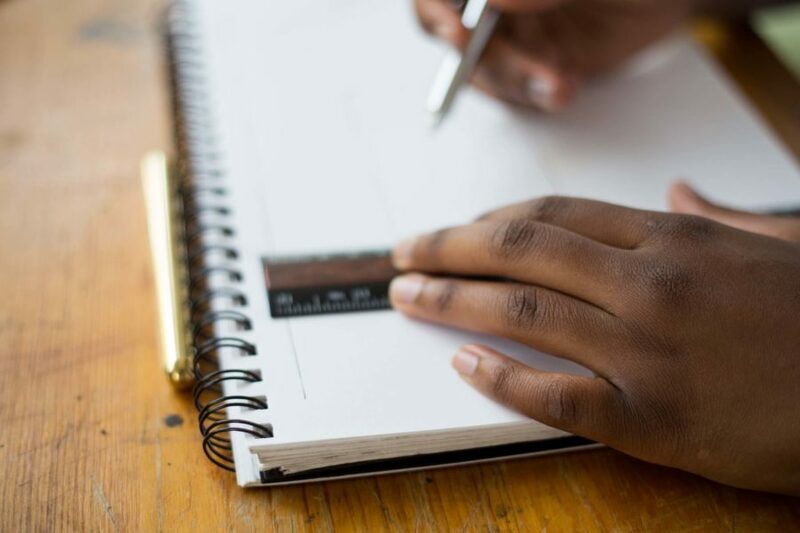 Every year, thousands of African students look at graduate school programs outside their country of origin to take what some might consider as the next logical step in their educational career: obtaining a graduate or masters degree. Indeed, it does seem to be a minimum requirement for applying to jobs these days, but is graduate school worth pursuing? By status I’m not talking “HIV/AIDS”. I’m talking know your legal status in the country you’re considering studying in and the corresponding do’s and don’ts. Knowing your status should also make it easier to figure out what financial options you have, whether you qualify for certain scholarships, if you can undertake an internship or do some work while studying, all of that. For instance, while the United Kingdom and it’s one-year graduate students sounded appealing to me, the fact that there were many restrictions around work study made it less practical for me as a young professional coming out of the non-profit sector. From my college experience, I knew I’d have a better chance getting a paid student job with an American graduate program and hence I focused my research on those. Already applying to programs? It’s not too late to find out what your status as an “international” or African student means. Make sure you know your status. Information is power. I cannot stress how important this is. Graduate school might seem like the next logical step – or the best alternative in periods of economic crises and high unemployment – but more than anything, pursuing a graduate school is an investment. In yourself, your future, your country, and essentially whatever career path you opt for. Unlike undergrad where you can ride the wave of ‘freedom’ or not having a clear idea of what you want to study until your third year, graduate school requires some degree of certainty about your career path right from the start. Not only because it is more expensive and financial aid is harder to come by, but also because it is more specialized. If you have no interest in the program you’re hoping to pursue, then honey, you’re just setting yourself up for a hell of a time. Literally. What’s more, it may not even be that essential to advancing your chosen career. For instance, a PhD might be essential for someone who hopes to work as a professor in a top university, but not so for a banking professional. So, figure out what you’re passionate about, weigh the costs, determine the level of commitment and relevance of a degree. Decide if graduate school is a worthy investment before going in hook, line and sinker. Still with regard to “investments”, it is highly important that you have an income stream available for pursuing your graduate degree. Sure, you might consider yourself to be a top-notch candidate who will have no problem securing a scholarship – and you probably are – but both competition and funding streams tend to be tight especially where African and international students are concerned. Don’t underestimate the financial commitment of attending graduate school. Even if you have some savings or do secure a scholarship for your entire program, there are still living costs to consider and those can be a pain if you don’t have additional financing to take care of it. Add the fact that you’d probably be adapting to a new culture or experience, and it can make studying difficult if not impossible. You might also want to participate in some leisure activities and inadequate finances will be a roadblock. All this ties back to knowing your status and weighing whether pursuing a specific graduate program is worth the investment. My first year of graduate school in Bologna, Italy is probably the most nerve-wrecking experience I’ve had finance-wise. The country was going through a serious economic crisis and things were expensive. At a point, I was working four jobs – as a live-in English teacher, a student journalist, a research assistant, and a freelance fundraising consultant – in addition to a full course load. This left little time for socializing, traveling, and simply letting my hair down. The crazy part? I had a full tuition scholarship and free accommodation. So yeah, don’t underestimate living expenses when studying abroad in Europe or the US. It’s okay to be hopeful about potential income streams, but as much as possible, be cut and dry and as realistic as possible when it comes to money. It will save you a ton down the line. This may seem obvious, but do your research very early on and communicate directly with the admissions and financial offices of the graduate schools and programs you’re interested in. You may also contact partner banks, embassies or other student loan institutions listed by said program concerning financial assistance . In your correspondence, state your question clearly so as to get accurate information in a timely manner. For instance,. I’m a Ghanaian citizen studying with an American institution in Italy. What are my financing option? Most career advisors recommend applying to more than one graduate school or program. If you do decide to go that route, start with a general list and narrow it down to your top five or so based on the research insights you garner. As an African or international student it’s particularly important to note whether the graduate school has resources specifically geared at students like yourself. Do they assist with the visa process, can you work on campus, are there need or merit-based scholarships – those are some of the things you should be looking out for. I usually advise prospective graduate school applicants to create a folder with all of their research. It is also helpful to come up with a calendar of scholarships you may qualify for, taking note of the specific application requirements for each program, and due dates. Make sure you meet those deadlines! One very valuable tool for determining whether a graduate school or program is a fit for you is speaking to other students. Why? Because they’ve already been through the process you’re starting or considering and they have inside knowledge about what it’s really like. To get tailored feedback on a graduate school, speak to students with a similar status as yourself – as an African or international student for example. You may also want to talk to current students and recent graduates of the program you’re considering applying to get a better sense of the subject matter and overall experience. That said, it’s important to note that not every current student’s experience will tally with yours – graduate school is largely what you make it. LinkedIn is a great place to start – a similar search using the graduate school or program name should pull up some possibilities – but you can also ask the admissions office whether it’s possible to speak to students and graduates. So there you have it, five things to consider before applying to graduate school. I hope you find them useful and feel free to share your own suggestions if you’ve already been through this process. All the best.